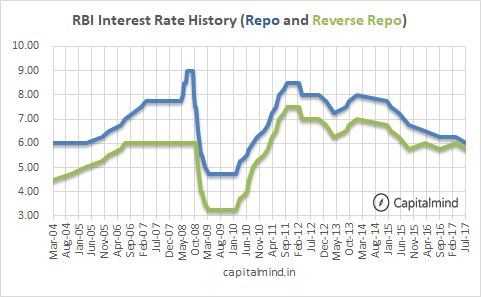 This is the lowest repo rate for a long time. This won’t change anything. Because at this point, banks have parked over Rs. 200,000 cr. with the RBI and they will get 0.25% lower interest from the RBI for that amount. Which is about Rs. 1.25 cr. per day of lower interest for the banking system as a whole. Basically things are lousy. Production hasn’t increased. Demand for electricity or crude haven’t increased showing that there’s no major increase in actual industrial activity. 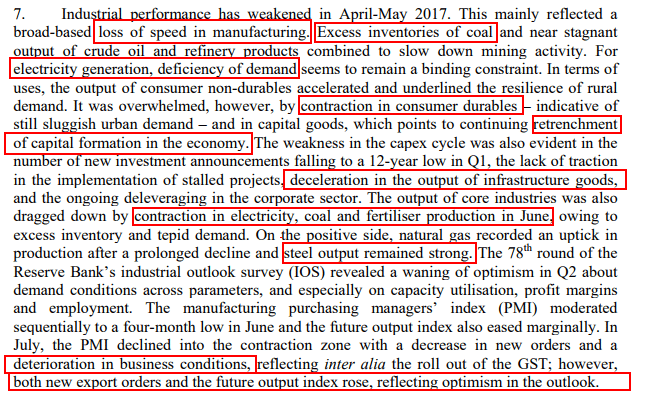 The PMI for June is mentioned but the PMI for July, recently released, is even more lousy at 47 (indicating a contraction). There’s no major investment (capital formation) in the private part of industry. The only good thing is that steel companies are producing well. However they like the service sector. There’s a lot of air travel and foreign tourist arrivals and strong increase in the telecom subscribers. Also retail inflation is very low, if you remove food and fuel. The RBI thinks inflation goes up, and so does growth. RBI is looking closely at inflation. GST will impact inflation. There’s some food impact due to temporary shortages. There’s the impact of the HRA of government employees on CPI inflation. Inflation will also be impacted by state government waivers of farm loans. And also it will stifle public sector spending on infra. There’s this and other structural factors that will impact inflation, and if inflation comes back, the RBI might back off the rate cutting sequence. The RBI wants to redo the MCLR to improve the transmission dynamics. Meaning, banks aren’t pushing their MCLR down fast enough. And the RBI wants them to connect lending rates to market-benchmarks (perhaps a call money rate or an index of government bonds of different tenures). This will happen after September. Also RBI wants banks to cut the base rate along with the MCLR. Banks don’t do it. Many loans are still on base-rate. The link should have happened. It hasn’t. So RBI is going to use a heavy hand to force banks to do it. RBI will also simplify hedging. This should help if it removes stupid restrictions like doc requirements, and purpose conditions. How does this help the market? The bond market doesn’t seem to care. While the overnight call market fell to 6% almost immediately, the 10 year bond yield actually went up! It started the day at 6.43% and went up to 6.46%. Not a big deal but you would think that the bond market would care. It does not. That means your gilt funds will lose a bit of money today. It also means bank portfolios of government bonds will not gain a lot. But let’s see how the market moves in the rest of the month, and we may be surprised. The stock markets weren’t much enthused either. While markets did close lower (Nifty closed 0.33% lower), one could be forgiven to think that there wasn’t any major news during the day. RBI cuts interest rates to boost demand for credit. 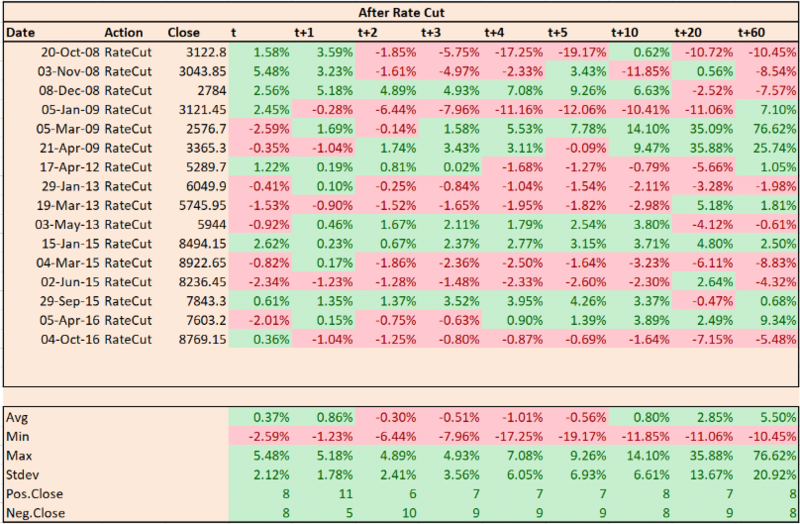 Generally by the time RBI starts to act, markets are already lower. But these aren’t normal times with markets at all time highs even as the economy is slowing down. Its a coin toss when it comes to what happens next. 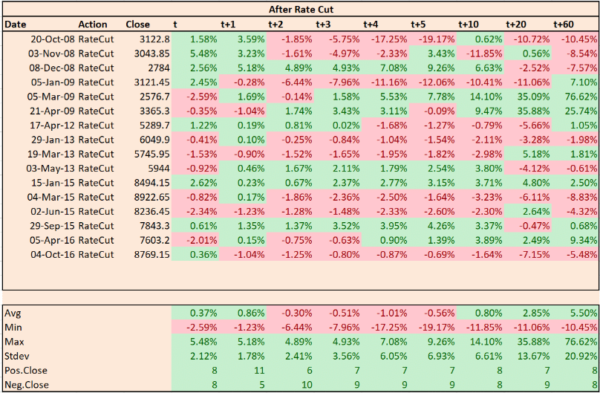 With Rate Cut now discounted, markets will need a new trigger for either a bullish melt-up or the much delayed and over anticipated melt-down.